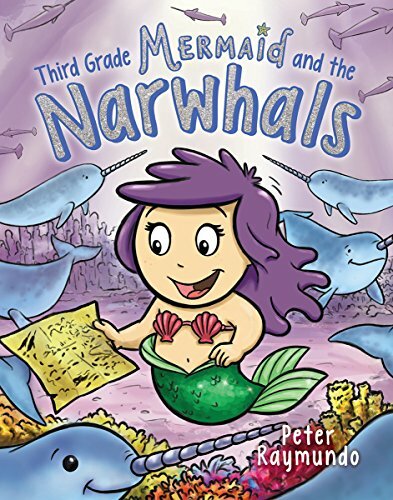 In this hilarious second installment to the Third Grade Mermaid book series, Cora is challenged by her rival, Vivian Shimmermore, to prove that narwhals are real by seeing them with her own eyes. 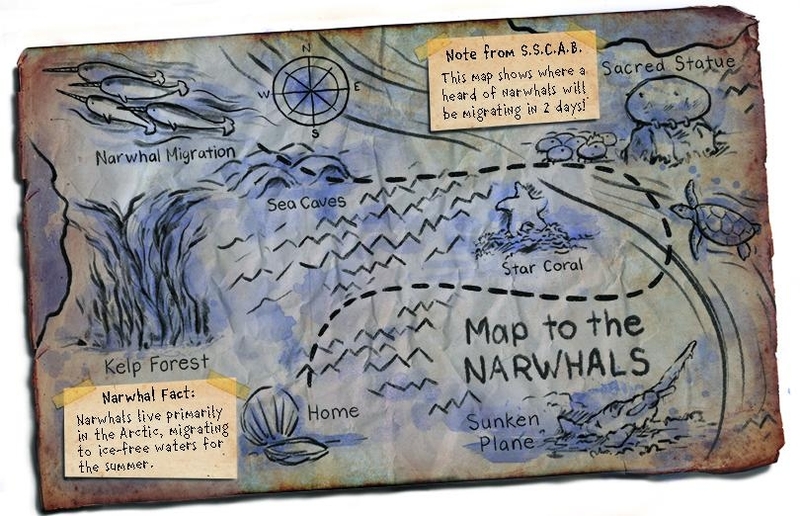 The next thing you know, Cora is off with her friends, Larry the Sea Cucumber, Jimmy the Jellyfish, Sandy the Mermaid, and Salty (her gigantic pet shrimp) as they go in search of a mysterious, mystical, yet not-quite-mythical pod of NARWALS. Third Grade is looking SHELLFISHALICIOUS until Cora gets kicked off of the MOST POPULAR, MOST GLAMOROUS Swim Team in the sea! Even worse, she's replaced by her rival, Vivian Shimmermore! Yes, THE Vivian Shimmermore! The GOOD news is, Cora can make it back on the team if she can just pass the next Spelling Test! The BAD news is, now she has to pass the next Spelling Test!! Something she's NEVER done! EVER!!! AAaaaagggghhh!!!!! Add a Giant Shrimp, a Not-So-Great White Shark, and a Super Genius Sea Cucumber, and Cora's in for an ocean-sized adventure that will leave you DRENCHED in LAUGHTER! Not just for entertainment! Third Grade Mermaid is now an official AR Book! Accelerated Reader (AR), created by Renaissance Learning, is a reading comprehension program that measures a student's amount of reading, reading comprehension, and other variables while helping them find and read quality books that are right for them. The gold standard in reading programs, Accelerated Reader is used in over 60,000 schools nationwide. 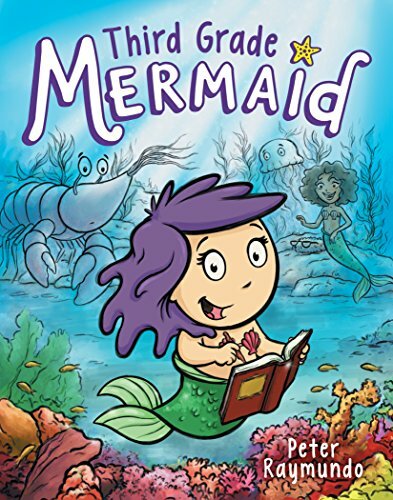 For more info on Third Grade Mermaid as an AR Book, click HERE. (A new window will bring to Third Grade Mermaid on the ARBookFind.com site). Yes, there is also the Third Grade Mermaid YouTube Channel! Using short, snappy animation and easy to understand descriptions, Cora introduces us to some of the ocean's most fascinating facts! Check out the links at the top of this page for more!